D.V. Shylendra Kumar, J. 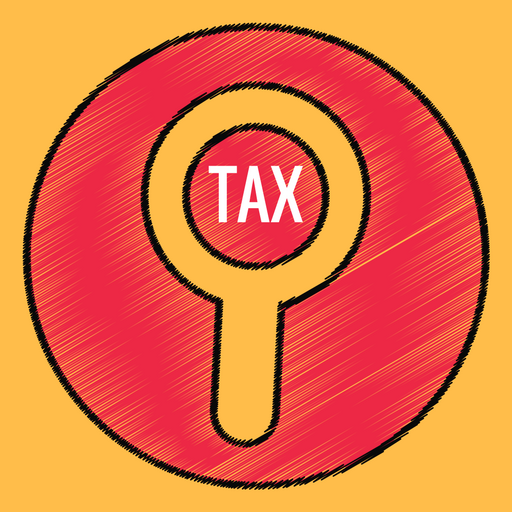 – The appeal by the assessee directed against the order dated 28.09.2012 passed by the Income Tax Appellate Tribunal, Bangalore Bench ‘B’, in ITA No. 145/Bang/2012 : where under the Tribunal dismissed the appeal filed by the assessee. 2. The assessee is an individual and assessment year is 2008-09. In this appeal, the appellant has sought to raise the following substantial questions of law as arising out of the order of the Tribunal for our consideration. “1. Whether in law, the Tribunal was justified in sustaining the action of Assessing Officer in denying the benefit of exemption u/s. 54F of the Act to the Appellant overlooking the evidences produced? 2. Whether in law, the Tribunal was justified in negating the view of the Appellant by terming the evidences produced are ‘not credible as such’ when such evidences clearly establish the fact that the appellant held the subject property for more than 3 years to suit the requirement of section 54F of the Act? 3. Whether in law, the Tribunal was justified in taking the date of acquisition of property as 10.10.2005 when such property was actually taken into possession on 15.09.2004 duly entering into agreement for sale? 3. The bone of contention between the parties is as to whether the assessee is entitled for exemption as provided for under section 54-.F of the Income Tax Act, 1961 [for short ‘the Act’] or is not entitled to for the same as urged by the respondent. 5. The assessee appealed to the Appellate Commissioner that the assessing authority was not right in denying the benefit of exemption under section 54-F of the Act in respect of sale transaction dated 23.1.2008. Before the appellate authority, the assessee took up the stand that though no doubt the assessee had purchased the property in question as per sale deed dated 7.10.2005 registered on 10.10.2005, the possession of the property had been taken earlier by the assessee pursuant to an agreement to sell dated 15.09.2004 and such transaction agreement coupled with transfer of possession would come under the definition of the word ‘transfer’ within the meaning of section 2 of the Act and on the strength of the sale agreement, laid claim to the exemption,. The assessee sought to place before the appellate authority the copy of the sale agreement dated 15.09.2004. 6. The Appellate Commissioner on examining the appeal on this aspect, noticed that the interval between the so called agreement from the date of registration of the sale deed is more than one year; that no agriculturist would transfer possession of his agricultural property on receipt of only a sum of Rs.1 lakh without receiving the balance amount agreed and in the present transaction the amount being substantial sum of Rs.8 lakhs and not making any payment for the same for more than one year; that the assessee had also not justified his claim for having taken possession of the property by showing any agricultural operations carried on in the subject land and the agreement being not registered document and moreover there being no reference at all in the sale deed to the agreement dated 15.09.2004 and the entire sale consideration having been received by the assessee only under the sale deed, no mention of the earlier payment of Rs.1 lakh figuring in the sale deed, opined that the self serving document like the agreement to sell which is not registered document cannot be accepted and agreeing with the view taken by the assessing officer of denial of exemption under section 54F of the Act, is justified and on this aspect, dismissed the appeal to the extent of the claim under section 54F of the Act is concerned. However, the assessee got the relief in respect of other aspects which we care not concerned with in this appeal. 7. In her further appeal to the Tribunal, the assessee reiterated her stand of the sale transaction having been preceded by earlier agreement for sale and putting the assessee in possession and therefore contended that the orders passed by the assessing authority and first appellate authority are liable to be set aside and prayed for setting aside the same. Quite naturally, the appeal was resisted by the revenue. 8. Learned counsel for the appellant – assessee contended before the Tribunal that it is customary in such transactions to put the purchaser in possession of the subject property even on the date of the agreement and on receiving some advance amount; that it need not be preceded by registration of a document and therefore urged for setting aside the orders passed by the lower authorities and allowing the benefit of section 54-F of the Act to the assessee. 9. On the other hand, the revenue contended that the assessee had not produced the so called agreement at the earliest point of time before the assessing officer; that it cannot be accepted and produced at a belated stage being not a registered document either and urged for dismissal of the appeal. 10. The Tribunal, on examining the material on record and considering the arguments advanced on behalf of the appellant – assessee, found that the view taken by the Commissioner of Income Tax [Appeals] in rejecting the claim of the assessee under section 54-F of the Act and affirming the assessment order was more than justified and even the judicial pronouncement did not favour the assessee in such a situation and the assessee having failed to bring on record any credible documentary evidence to substantiate her claim of the property having been in her possession under an agreement dated 15.09.2004, there is no merit in the appeal and that the benefit under section 54-F of the Act cannot be claimed, dismissed the appeal. 11. It is as against these orders, the present appeal by the assessee and on the questions as noticed earlier. 12. Appearing on behalf of the appellant – assessee, Sri. Mallaharao, learned counsel has vehemently urged that the definition of the word ‘transfer’ under section 2 of the Act includes transfer in the nature of agreement coupled with transfer of possession and therefore the authorities have committed a clear error when it is definite stand of the assessee that the assessee had got into possession of the subject land even on 15.09.2004 as per the agreement; that the copy produced before the appellate authority should have been accepted and acted upon. 13. On the other hand, Sri. K.V. Aravind, learned standing counsel appearing for the revenue has submitted that the recital in the sale deed very clearly says that the property in question was put in possession of the assessee – purchaser only under the sale deed and not under any agreement entered into earlier; that, in fact, no reference is made to any such agreement nor any mention made of any advance amount received by the vendor prior to execution of the sale deed; that the assessee having not produced the agreement of sale earlier and having come up before the same before the appellate authority and that too in the form of an unregistered document, no credence can be given to such document said to be of the year 2004 to place before the authorities for the first time only before the Appellate Commissioner during| the pendency of the appeal in the year 2011 or thereabouts. 14. It is also submitted that no question of law arises as it is only a finding of fact by the authorities, that the assessee got possession of the property only on 10.10.2005 as per the recital in the sale deed and therefore section 54-F of the Act was clearly not attracted, as to on what date assessee got possession being pure question of fact and even assertion by the assessee that she had got possession of the land earlier to the sale deed, having not been made good on cogent and reliable evidence on record, there is absolutely no need for interference. 15. We have bestowed our attention to the submissions made at the Bar and examined the memorandum of appeal and grounds urged therein. 16. It is no doubt, true as contended by Sri. Mallaharao, learned counsel for the appellant that the definition of the word ‘transfer’ under section 2 of the Act includes situation where transaction involving allowing of possession of any immovable property in part performance of the contract. But that should be made good on material placed on record and through cogent evidence. The claim of the assessee that there was transfer of possession to her under the agreement dated 15.09.2004 has not been made out on acceptable material facts before the three authorities and the finding of all the three authorities is that there is nothing to indicate that assessee was in possession of the subject land even as on 15.09.2004. If that is the finding of fact, we are afraid that there is no scope for interference for examination of the questions of law as raised by the appellant – assessee in this appeal. 17. Therefore, this appeal is dismissed as one not giving rise to examination of the questions of law as raised in the memorandum of appeal. This entry was posted in Section 54F and tagged 360 ITR, In favour of Revenue, Karnataka High Court, what is construction for section 54F.